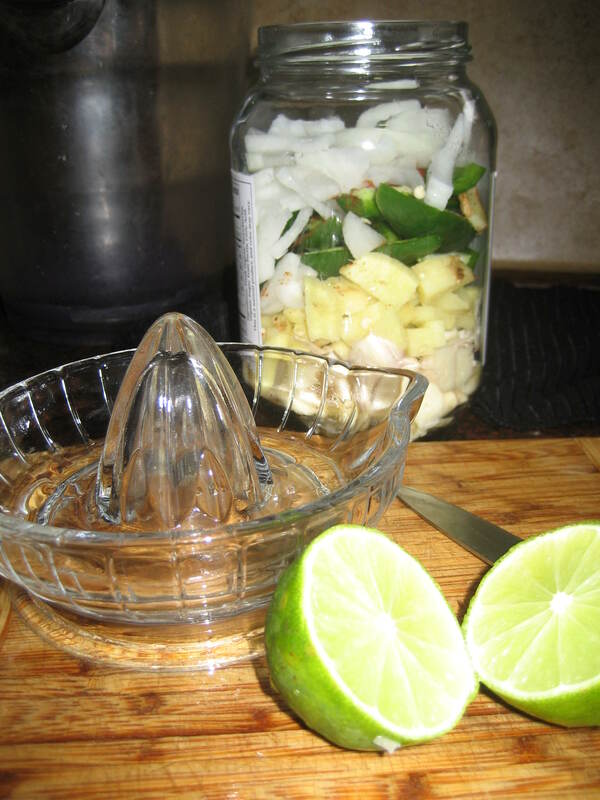 I ran across this Fire Cider recipe from Mommypotamus this week. I decided immediately that I wanted to make it mostly because I was curious as to how spicy it would be. So, sick kids got me to thinking about it again. I decided to make while all my sick ones were napping yesterday afternoon. I couldn’t find all the ingredients (like turmeric root) and some (like horseradish) are ones that I’m not a big fan of. 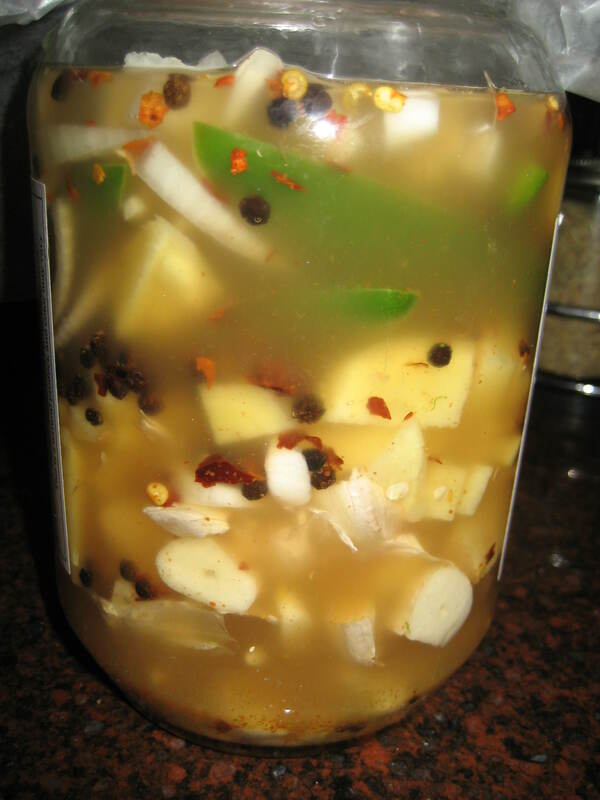 So, I changed it up a little and made my Fire Cider – Texas style with flavors and ingredients that I love from my native Texas. And I promise, it will be just as spicy and beneficial towards fighting off the bugs and viruses as the original. Here’s what I did. Start with quart size jar and throw everything in. 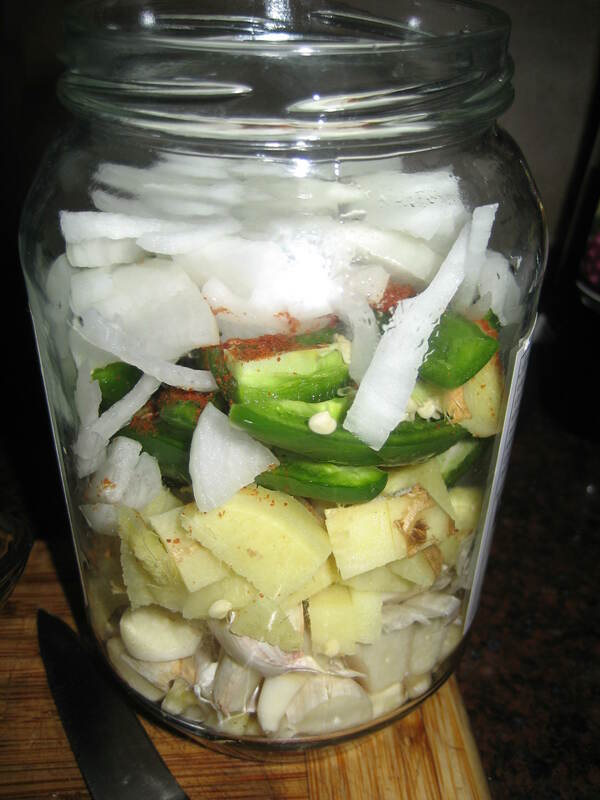 Fill the jar and cover with raw apple cider vinegar (Bragg Apple Cider Vinegar is good – don’t use the grocery store brand) covering everything. You may want to use a fermenting weight if your items float to keep everything below the liquid. This will prevent spoilage. Put a lid on. If the lid is not plastic you can put some wax paper under the lid before you put it on to prevent the vinegar from coroding the lid. Let it sit for 2-4 weeks. Strain and drink as shots or dilute in water. I’ll let you know how spicy mine is. Are you brave enough to try it? This entry was posted in Health, Medicine Cabinet, Remedies. Bookmark the permalink.